These are hands down the best cookies you’ll ever eat in your life!!! If a cinnamon roll and white chocolate chip cookie had a baby, this cookie would be that delicious little offspring. The original recipe is posted on Picky Palate, but this one uses a different type of pudding in the recipe. My mom made this tasty substitution and took these cookies from a 9 to a 10! Also, if you aren’t familiar with cinnamon chips (I hadn’t even heard of them before this recipe), don’t be scared to try them! They are like tiny meltable cinnamon rolls and are amazing! They can be hard to find, so if you can’t find them in your grocery store, you can get them off of Amazon. I like the Hershey’s brand. 1. Preheat oven to 350 F and line a large baking sheet with parchment paper. 2. In a stand mixer, cream your butter and sugars until light and fluffy, about 2 minutes. Add egg and vanilla beating to combine. Slowly add your flour, pudding mix, salt, baking soda, and cinnamon. Add chips and mix until combined. 3. Using a medium cookie scoop, place dough onto prepared baking sheet, about 1 inch apart from each other. Bake for 10-12 minutes, until baked through. Remove from oven and let cool on baking sheet for 10 minutes before transferring to cooling rack. Soooo good! Rachel. 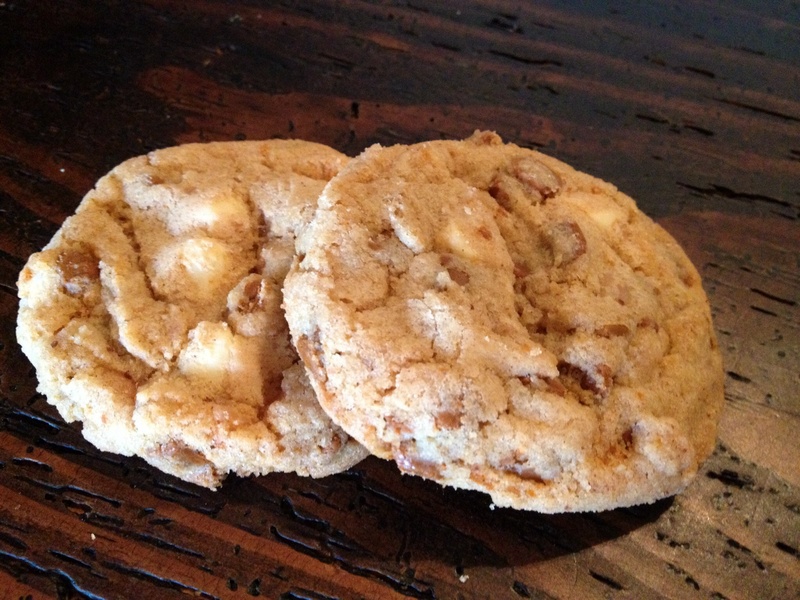 I made these cookies today – they are just as good as you say they are!!!! !